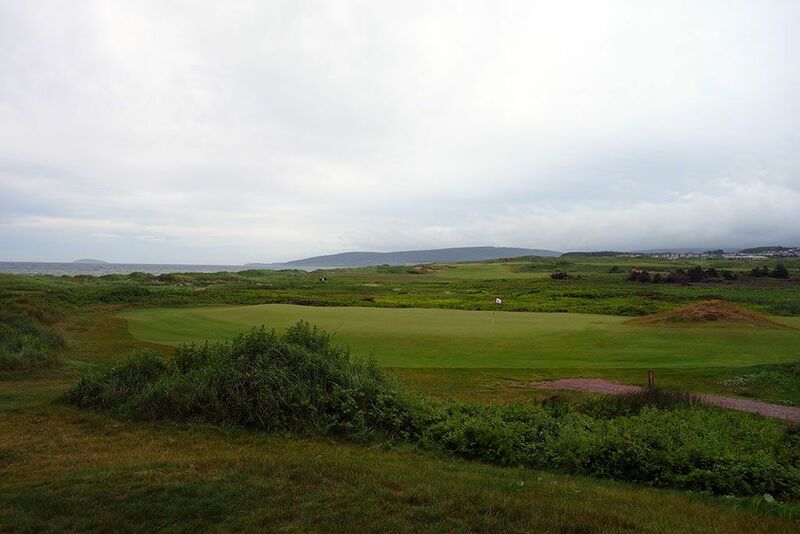 Course Website: Official Website - Visit Cabot Links's official website by clicking on the link provided. 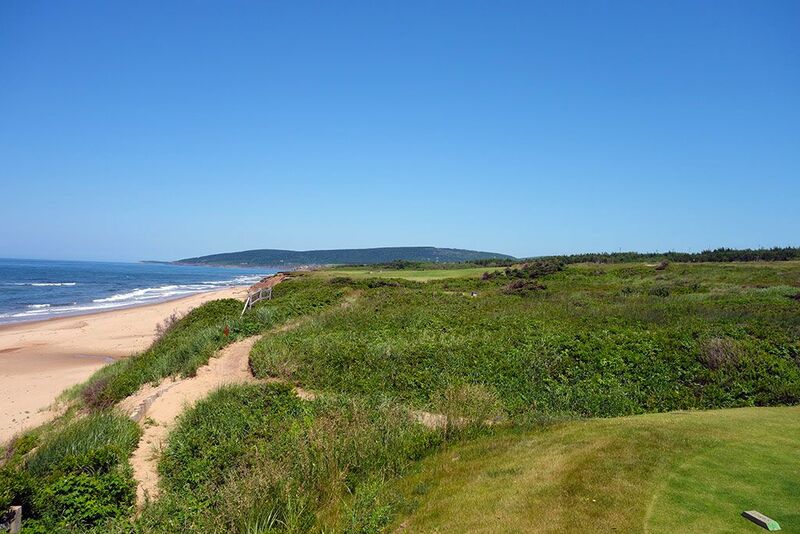 Accolades: Ranked 3rd in Nova Scotia on Golf Course Gurus' Best in State list. 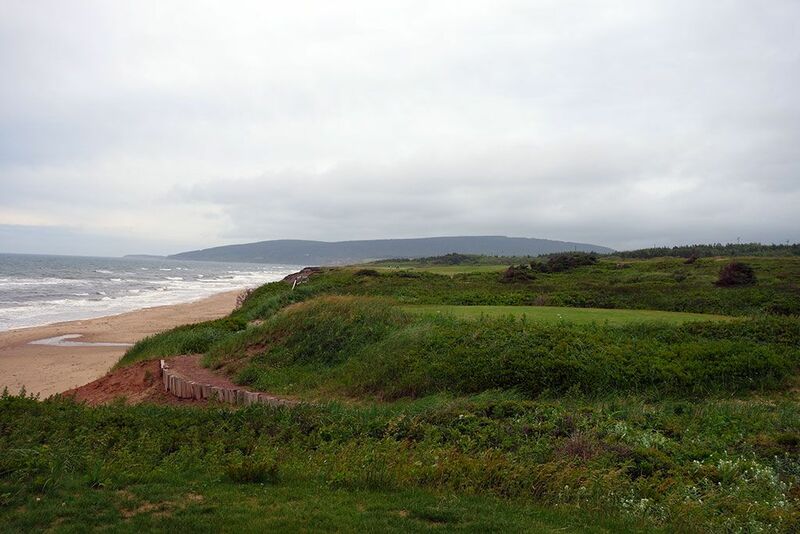 What to Expect: The original course at the Cabot resort and the reason that golfers all over the world now know about Nova Scotia can be credited to Cabot Links. 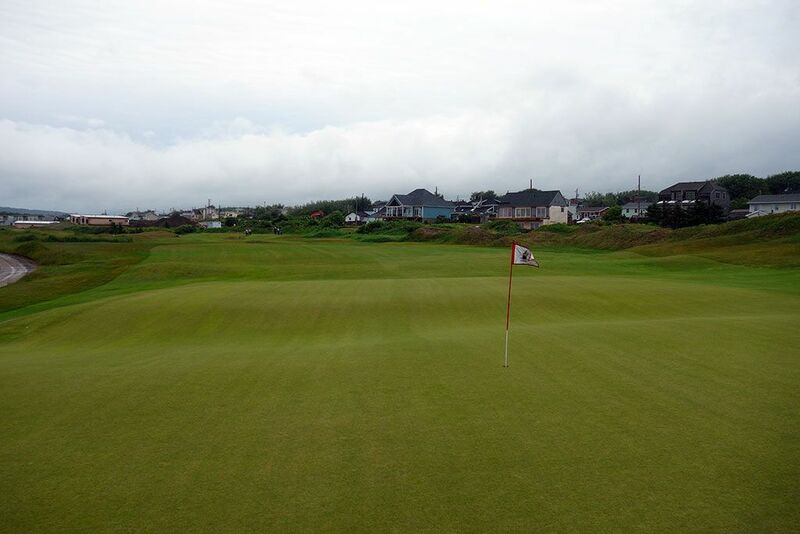 This coastal links features fescue grass throughout the routing with the green lengths being longer and thus rolling slower than American golfers are used to. 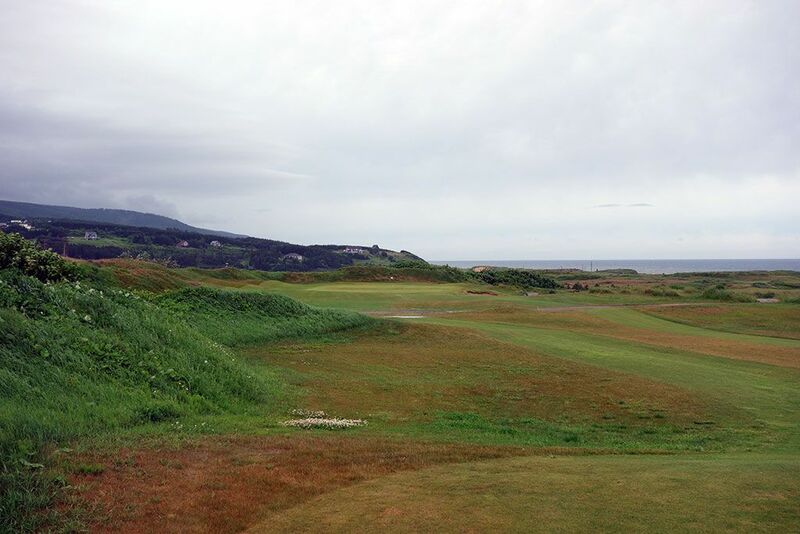 If plush conditioning is what you are looking for, you aren't at the right place and you clearly aren't familiar with how fescue links courses are designed and maintained. 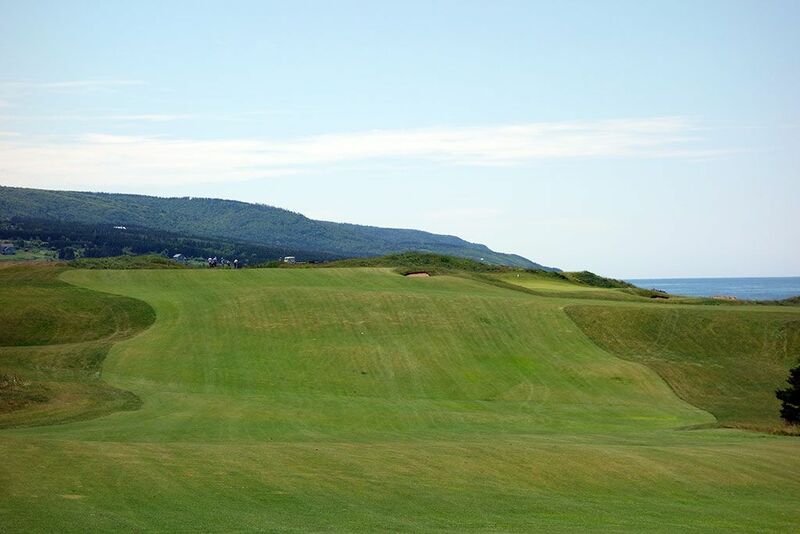 Cabot Links is designed to play firm in the fairways and ruggedness throughout the layout can become a factor at any given time during your round. The greens are large and undulated but the relatively slow green speeds allow the mounds in the putting surfaces to be navigated fairly. 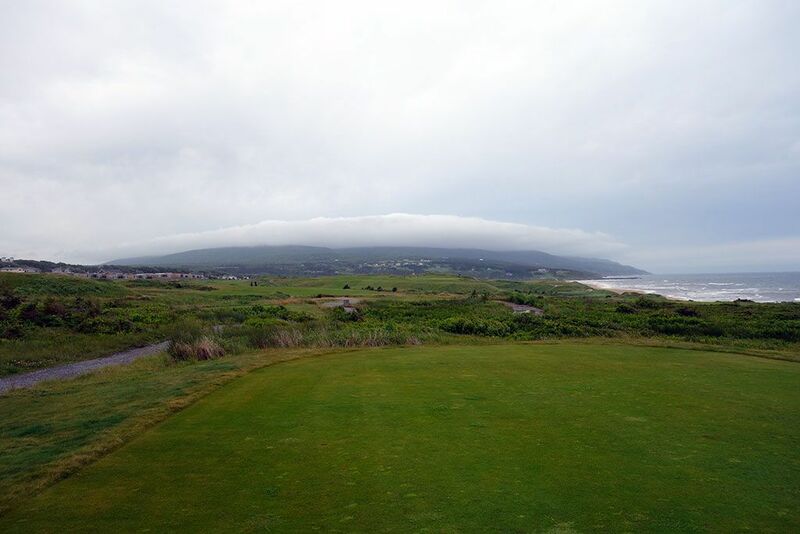 The front nine is highlighted with play along a bay and the back nine features three consecutive holes along the ocean. 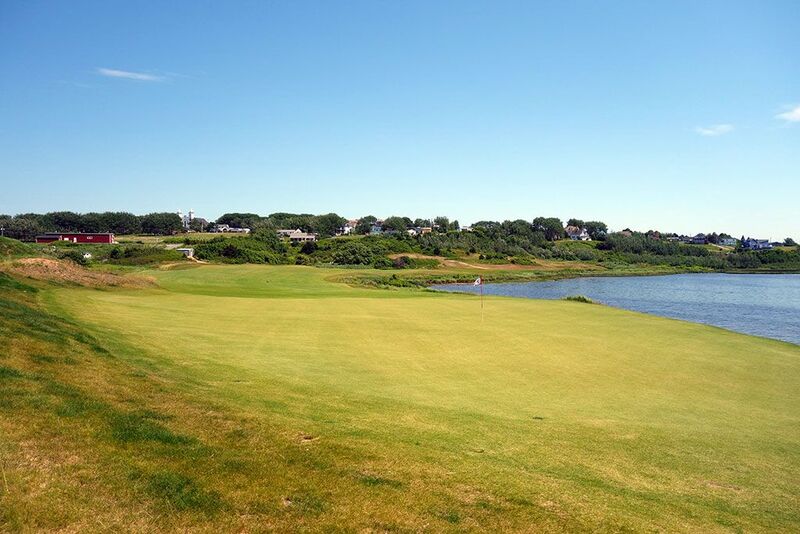 The great Atlantic can be seen from every hole on the course and a public walking path separates the course from the beach. 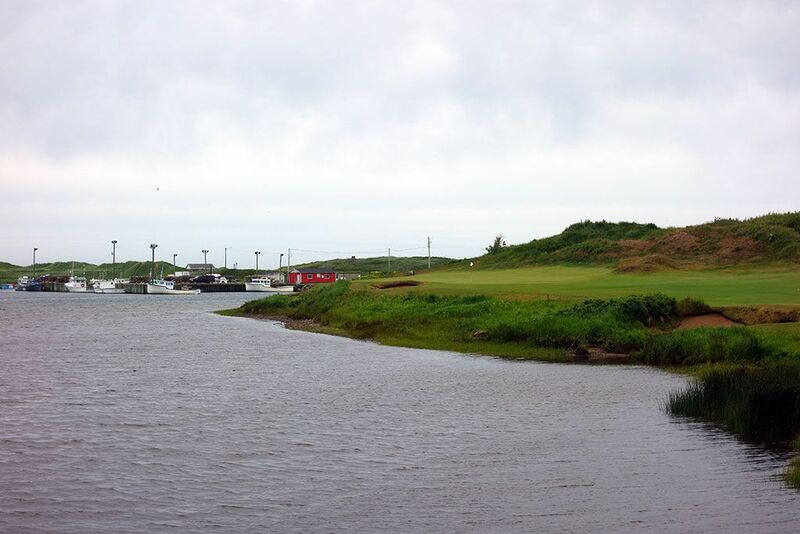 While the course isn't nearly as dramatic as the sister Cliffs course, Links is an easy walk and opinions vary on which course is more difficult. 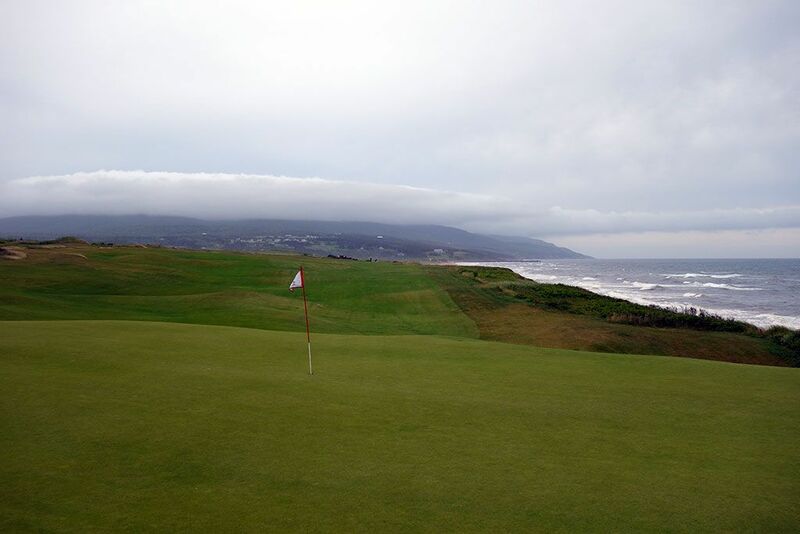 Like all true seaside links course, Cabot can experience blustery winds and sudden rain so be prepared for anything during your round. The course is walking only and players can employ the services of a caddie, pack the clubs on your back, or rent a Riksha pull cart which can be taken anywhere on the course, including on the green. Signature Hole: 14th Hole – 102 Yard Par 3 – This hole was clearly inspired by the famous 7th at Pebble Beach and shows just how effective a short par three can be. 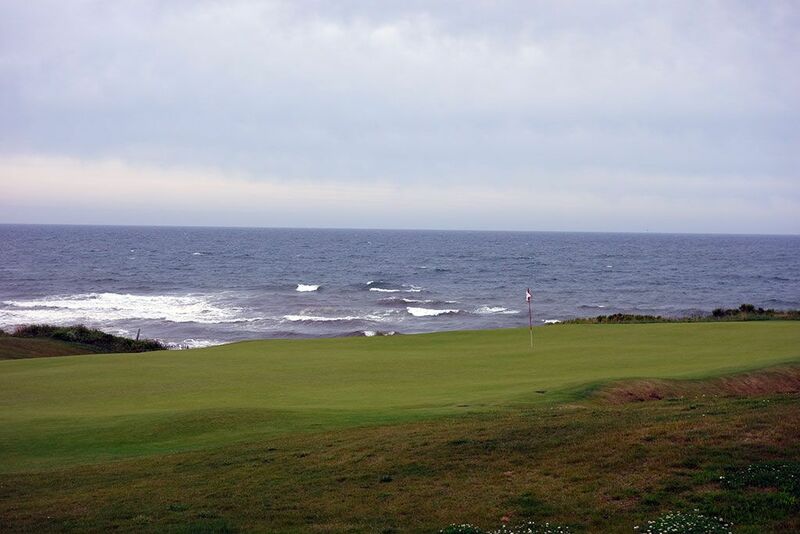 The hole plays downhill to a green that boasts nothing but miles of ocean views behind it. When the wind is down it is an easy green to hit, but when the wind is moving it can be especially difficult to find the putting surface since the club in your hand is highly lofted and the velocity of the shot isn't great which leads to the wind having a huge effect on the ball. This is a gorgeous hole that is placed at a length that every level of golfer can enjoy and potentially create a heroic moment on. 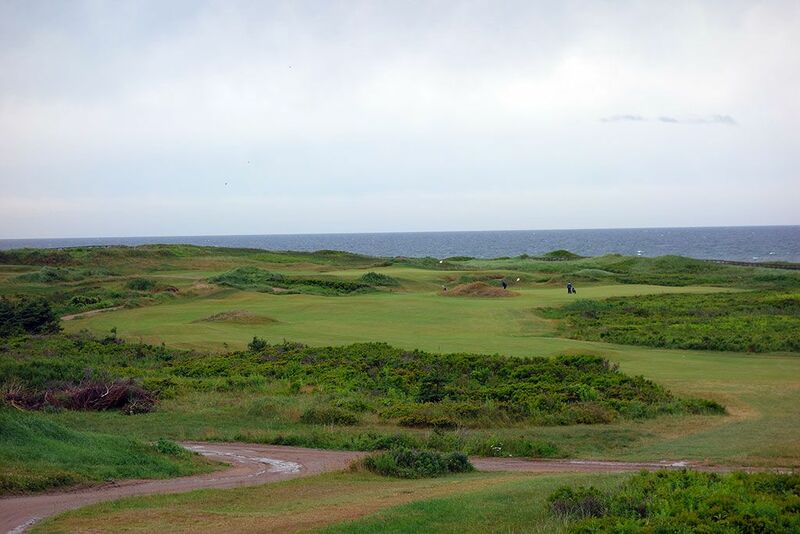 Best Par 3: 2nd Hole – 247 Yards – I absolutely love Biarritz greens and Cabot Links offers one right off the bat for players to enjoy. With the prevailing wind in your face, some players may need to pull driver out and try to bore through the wind with a low shot that skips on the front of the green, through the deep swell, and on to the back third of the green. A green length bunker runs along the right side of the putting surface and can create a difficult par save situation depending on the pin placement. 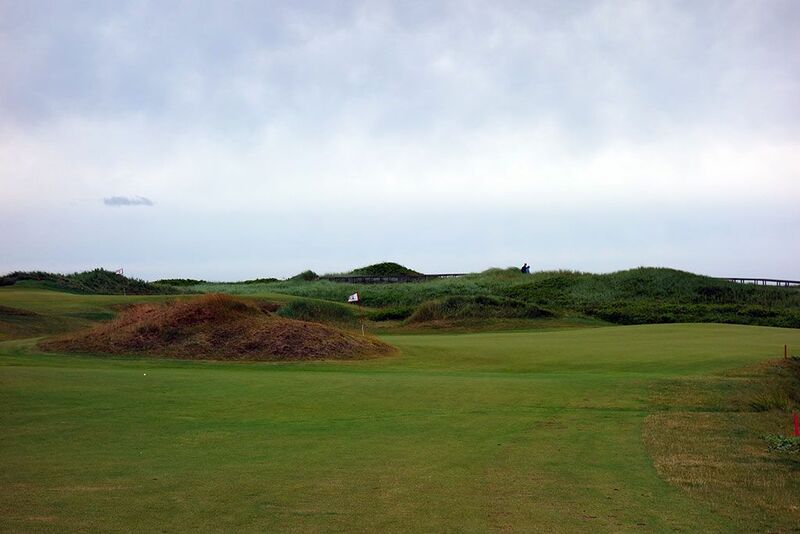 Best Par 4: 16th Hole – 457 Yards – This hole reminded me a bit of #5 at Bandon Dunes since it runs the same direction along the coast line, is a lengthy par four, and some of the fairway is obscured from view due to the brush between the fairway and tee. The nearest fairway bunker is nearly 300 yards away and can certainly come into play when the hole plays downwind. The green sits at a 45 degree angle from the player with the front right portion of the green being closest to the line of play. A back left pin takes an incredible approach shot to get close to considering the smallish landing area and the deep bunker sitting below the putting surface on that side. 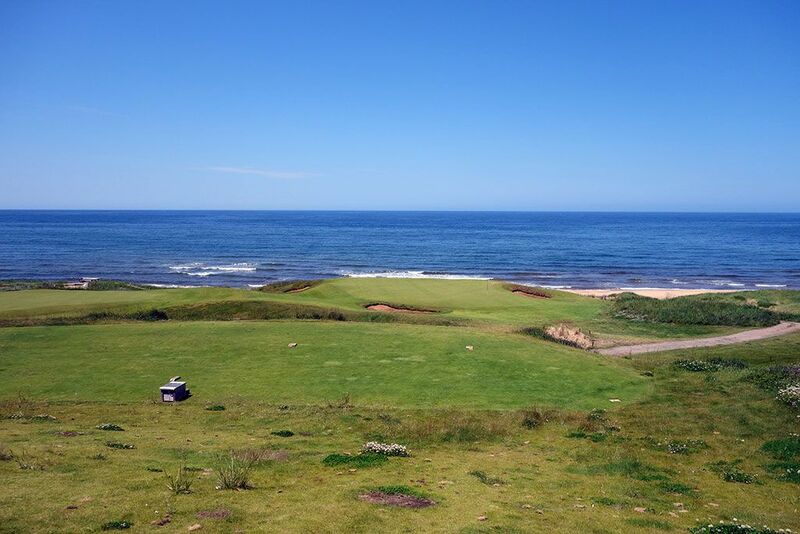 Playing next to the Atlantic Ocean for the length of this hole makes it a special experience to enjoy. 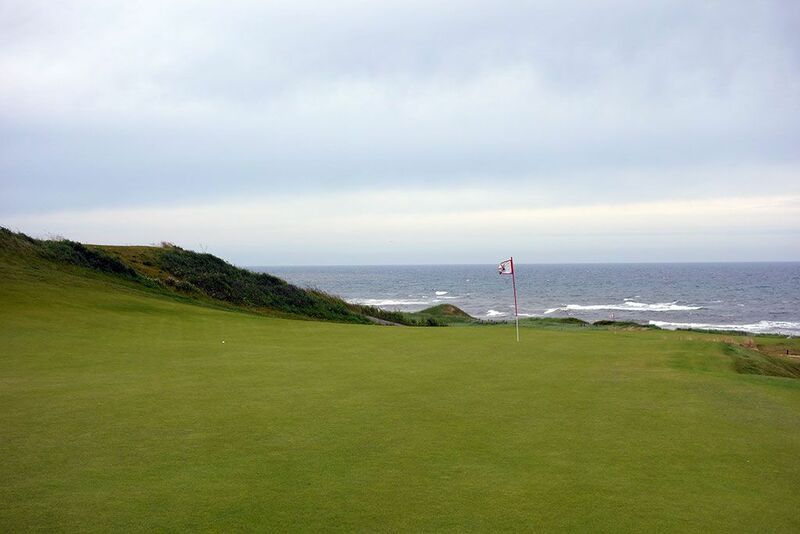 Best Par 5: 11th Hole – 620 Yards – Cabot Links has several great holes, but this one was easily my favorite. Reminiscent of the 14th hole at 2017 U.S. Open host Erin Hills, this monster par five has a ton of things going on. The drive plays to a wide fairway that narrows and drops downhill after the landing zone. This speed slot can be reached under the proper conditions which would then set up a blind approach to a severely raised green site. Players electing to lay up can go left or right. On the right side players have a forced carry third shot to a shallow green but are afforded a large back stop to hit into behind the green which will feed the ball towards the hole when the pin is on the right side. If the pin is on the left then laying up to the left side of the fairway is the ideal play and will give players an unobstructed look at the green and chance to stiff their approach shot. The hole feels larger than life with the huge elevation changes, blind angles, and perched green that offers stunning ocean views. Birdie Time: 3rd Hole – 330 Yard Par 4 – The shortest par four on the course is the baby dogleg right that begs players to attack it. A hazard encompasses the area right of the fairway so leave the slice in your bag for another time. A safe play to the left side of the fairway will leave the maximum depth of green surface to work with but also a large mound fronting the green on your line of play. Take the mound out of consideration with a high ball flight and land on the green softly to give yourself a great look at birdie. 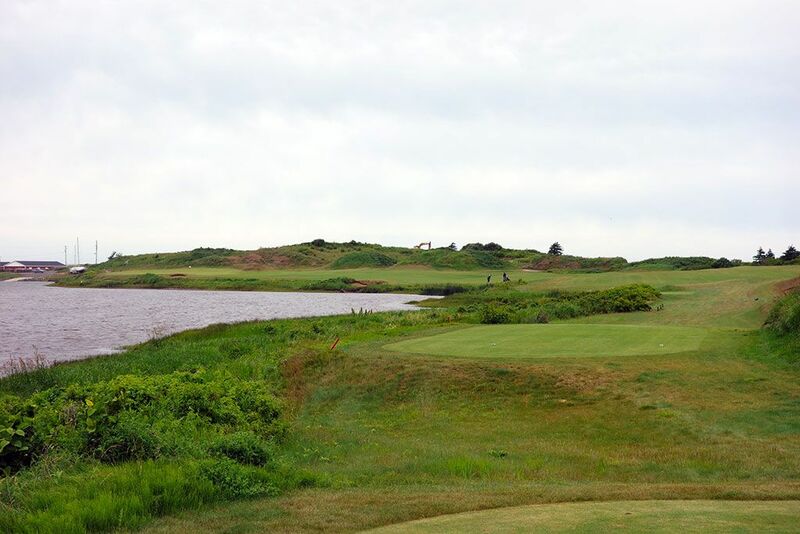 Bogey Beware: 6th Hole – 465 Yard Par 4 – Lengthy and intimidating, the par four 6th hole at Cabot Links is the epitome of the term "beauty and the beast." This dogleg left curves around a beautiful ocean bay where fishing boats are often found in the harbor. 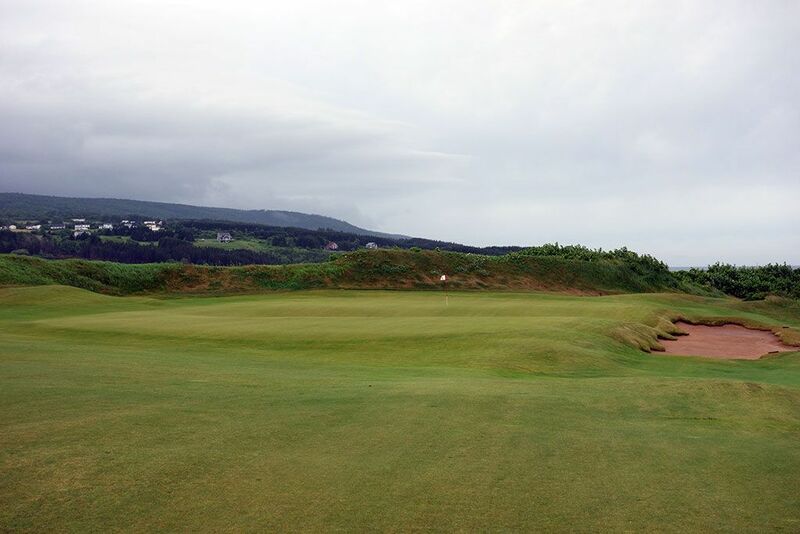 The tee shot plays slightly uphill while the approach shot plays to a green pinched between the bay and a large dune. A collection of bunker left of the green and several feet below the putting surface act as a saving grace to players whose balls may be heading for the salty water. No matter what direction the wind is blowing, it can wreck havoc for players taking on this dogleg so it is important to know your limitations and play to your strengths while minimizing the potential damage here.